This piece will look at why you need to make a will, what are the requirements for a valid will, what a will should contain, some common mistakes made in drafting wills, what legal recourse has an unhappy child if (s)he feels that (s)he has not been provided for, and more. There are a number of important reasons why you should make a will in Ireland. Making a will allows you to provide for the passing of your property with a clear legal document. You choose who handles your affairs on death rather than having the state do it for you. So in summary you keep control of your affairs and property on your death when you make a will. A will is a formal document which sets out how a person (the ‘testator’/ ‘testatrix’) wishes to dispose of his or her property on death. A person may make as many wills as he wishes, but the only relevant one is the last valid will made before his death. The idea of a will having to be in writing has been generously interpreted by the courts and basically means some permanent evidence of the testator’s intention. signature of the two witnesses with their addresses and descriptions. 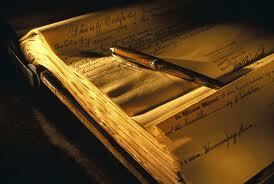 A legacy is a gift of personal property under a will. A devise is a gift of real property. A charitable legacy-it is vital that the charity is clearly identified. The Cy Pres doctrine gives us a general principle that a charitable bequest will not fail for uncertainty. Get a solicitor to draft it. 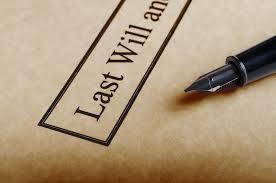 A witness or his spouse cannot benefit under a will. If a beneficiary predeceases a testator, whatever was left to that beneficiary fails and that gift will be distributed as if the testator died intestate, unless he has an effective residuary clause in the will. This shows again the need to have a properly drafted will and why it is not a job for a DIY enthusiast. where a will provides for what will happen in the event of a beneficiary predeceasing. Residuary devise or bequest to include estate comprised in lapsed and void gifts. [1837 (c. 26) s. 25] 91.—Unless a contrary intention appears from the will, any estate comprised or intended to be comprised in any devise or bequest contained in the will which fails or is void by reason of the fact that the devisee or legatee did not survive the testator, or by reason of the devise or bequest being contrary to law or otherwise incapable of taking effect, shall be included in any residuary devise or bequest, as the case may be, contained in the will. For this reason it is absolutely essential that your will contains a residuary clause. It can be very important to insert appropriate enabling clauses in the will because if they are not present the Succession Act makes various provisions such as section 63 which deals with advancement and provides that any payments to a child during the life of the testator will be deducted in calculating the share of that child on the death of the testator. If the testator leaves a business then if trustees are appointed they will need to have the power to borrow, lend and run a business. Without these extra powers the trustees can not do so. If a child predeceases the testator then the benefit that such child would have received goes to that child’s estate, not necessarily to the deceased child’s children. This is contained in S98 of the Succession Act, 1965 and is very important if you want to ensure that whatever you leave to your child goes to your grandchildren then you have to insert an enabling clause (a gift over clause) to ensure the benefit goes to your grandchildren and not your errant son/daughter in law. Section 55 of the Succession Act, 1965 provides for a personal representative having the power to appropriate any part of an estate in or towards satisfaction of any share in the estate. However this can attract stamp duty if the specific power to appropriate without notices is not contained in the will. Apportionment: it is a good idea to exclude the common law and statutory rules re apportionment as the failure to do so may lead to time consuming exercises in calculating income post death and apportioning it. If you have to insert a trust in the will it is a good idea to give extra powers to the trustees because their statutory powers are limited enough. What actions can a child take against an estate? Section 117 of the Succession Act, 1965 allows him to take an action where the testator has failed in his moral duty towards that child. This is a matter for the court to decide and many cases have been thrashed out in the courts in order to make sense of this moral duty. Capacity to make a will may be proved by a sworn statement from a doctor or solicitor who attended the deceased at the time the will was made. In the event of a challenge to the testamentary capacity of the testator, the Courts will decide and have been called upon to do so on many occasions. An undated will is not necessarily invalid, but a witness will have to swear that the will was executed before the testator died to satisfy the Probate office. Wills drafted in cases of imminent death, for the elderly, or for someone about whom there is a doubt as to their mental capacity can be problematic. At least two independent witnesses are obtained. The elderly can be vulnerable because of ill health, advanced age, lack of education, mental incapacity. Special care needs to be taken therefore when they are making their will. There is a presumption in law of soundness of mind, testamentary capacity, and due execution where a will is formally valid. If the will is later to be challenged on the basis that the testator was of unsound mind it is up to the challenger to prove it. The test for testamentary capacity was laid down in 1870 in the case of Banks v Goodfellow. The testator must be able to give consideration to those people who might expect to benefit and decide whether or not to benefit them. Elderly people are susceptible to outside or undue influences when it comes to making a will. There are certain relationships where a question of presumed undue influence arises. These are situations where the relationship is one where a relationship of trust and confidence existed between the parties, eg solicitor/client, doctor/patient. Other relationships can also arise where, even though no presumption of undue influence arises, one party placed trust and confidence in the other party and there may have been actual undue influence. Independent legal advice for the testator is the recognised way of rebutting any presumption of undue influence. Whilst making your own will is very doable it is not advisable for the reasons outlined above and the Succession Act 1965 has various provisions in it which will kick in if you have not made provision for them. If legal challenges arise to the will the courts may award costs out of the estate, even to the losing challenger so it is crucial that you have properly drafted, legally sound will. It is a supreme folly for anyone not to make a will and ensure the smooth passing of his/her property to those he loves. To ensure that your will is sound and valid or to have a will made you can contact Terry through the Contact form on this site and he will be in touch with you within 24 hours to make an appointment.